Huat ah! 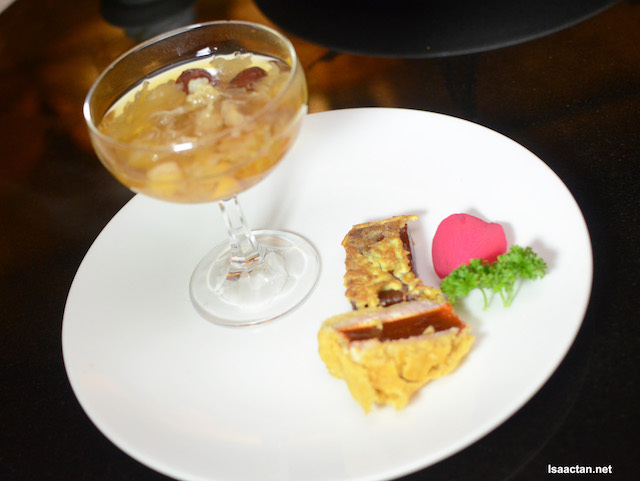 Lai Ching Yuen Chinese Restaurant at Grand Millennium Kuala Lumpur has always been a great place to dine at. We were there the other evening to sample their Chinese New Year Menu 2018, ushering in the year of dog amidst good heath, and lots of wealth! Check out what we had that evening below. 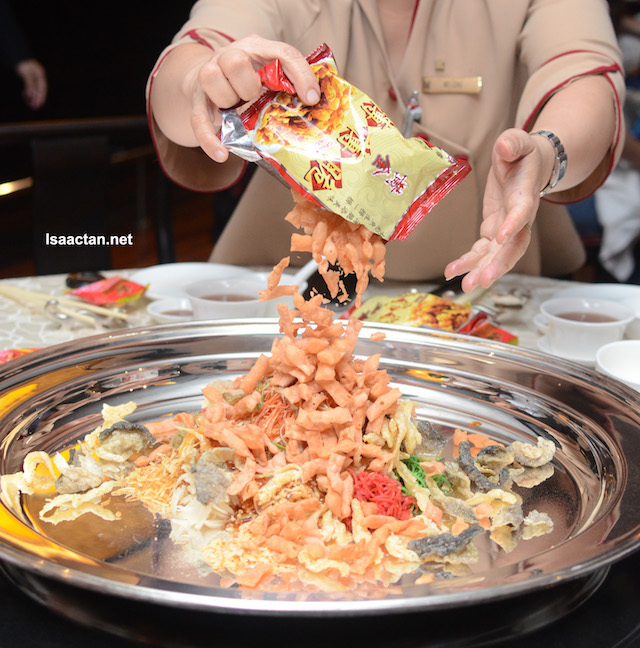 Available from 22nd January - 4th March 2018 at RM88 nett onwards, the customary tossing of the “lou sang” or yee sang is in order. 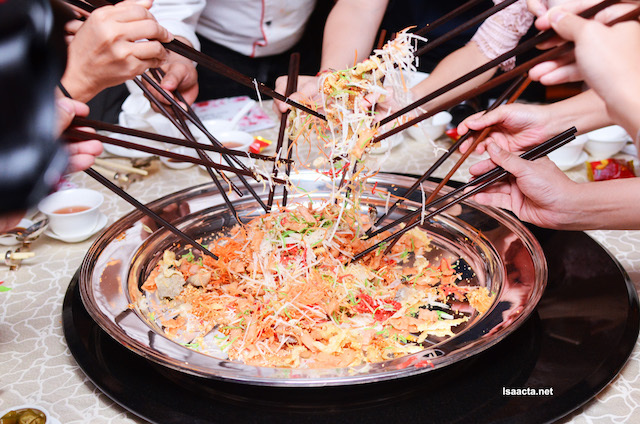 Here we tried their delicious Yee Sang with White Fish Bait, which was good, tossing everything to the roof and back. 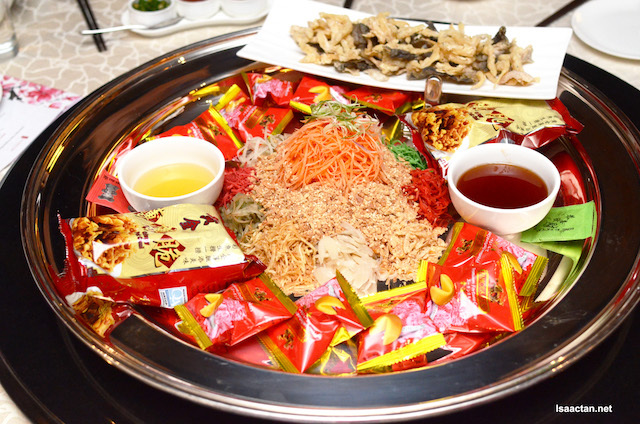 Of course, you get to choose from the range of delectable yee sang, from soft shell crabs, abalone, smoked duck, and many more. 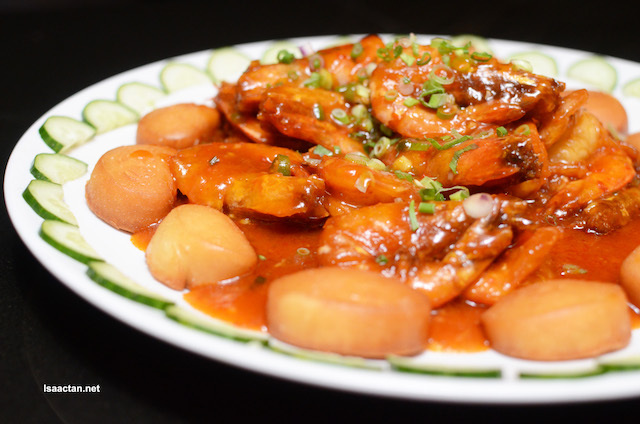 Up next we had the Wok-Fried Prawns With Spicy Sauce, served in sumptuous plating of prawns in rich sweet and spicy sauce. Not bad at all, the prawns were really fresh, going well with the accompanied “man tao” buns at the side. Lovely. 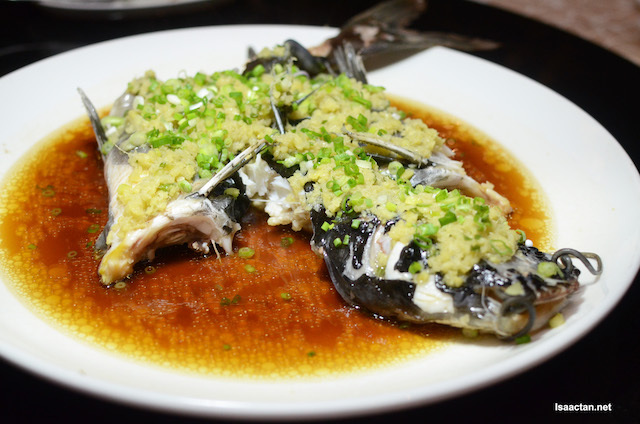 Steamed fish lovers would definitely love the Steamed Cat Fish With Minced Ginger. This is one of my favourite Chinese cuisine dish as well, proven by the deliciously sweet white flesh of fish. “Pak Su Kong” or white catfish was we call it in Chinese, the chef served the fish doused in generous amounts of minced ginger, steamed to perfection. Not a bad dish, in fact one of the staples for CNY menu. It would have been better if the chicken meat had been seasoned better. 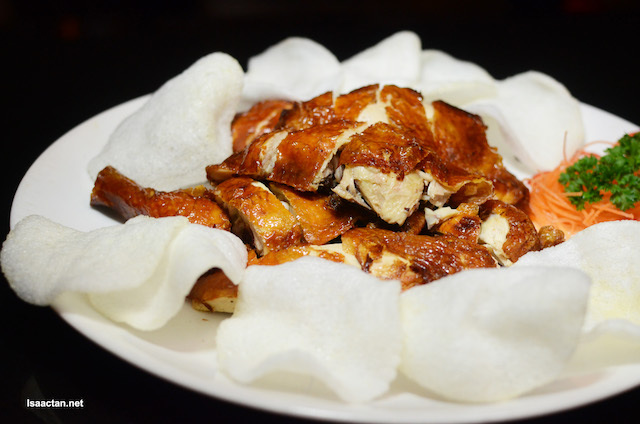 Nevertheless, served with prawn crackers on the side the Roasted 'Pei Pa' Style Crispy Chicken is nicely seasoned on the crispy skin. There’s this seasoned salt with 5 spice powder on the side if you want that extra flavour though. How interesting! 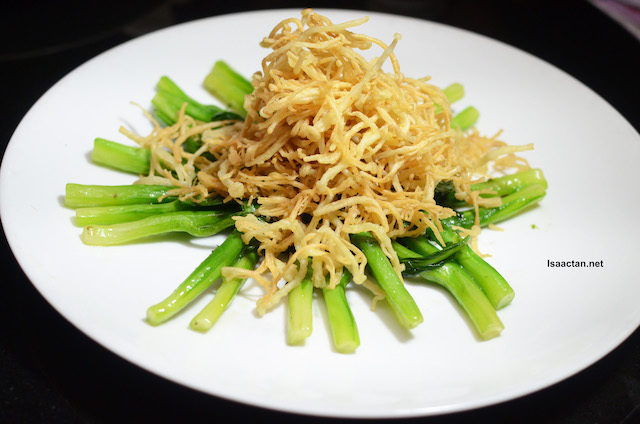 I always love a good platter of Stir Fried Hong Kong Kailan, but when its topped with these crispy fresh Enoki Mushrooms, everything tastes so much better! Deep fried to perfection, the Enoki mushrooms really complemented the vegetables well. 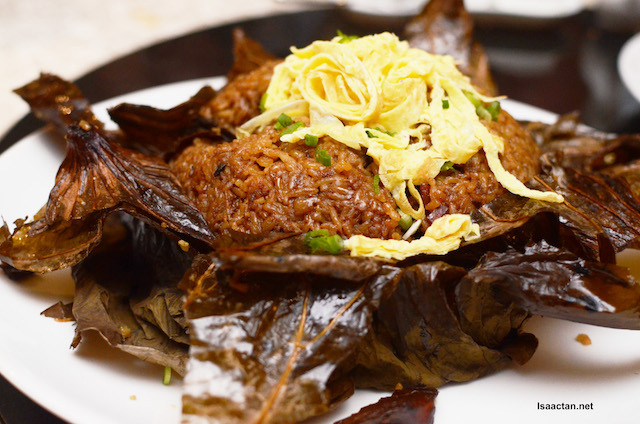 Another staple in any CNY menu, we had the Fried Rice With Assorted Chinese Waxed Meat, wrapped In Lotus Leaf. Flavourful indeed, the fried rice has generous amounts of waxed meat thrown into the mix. 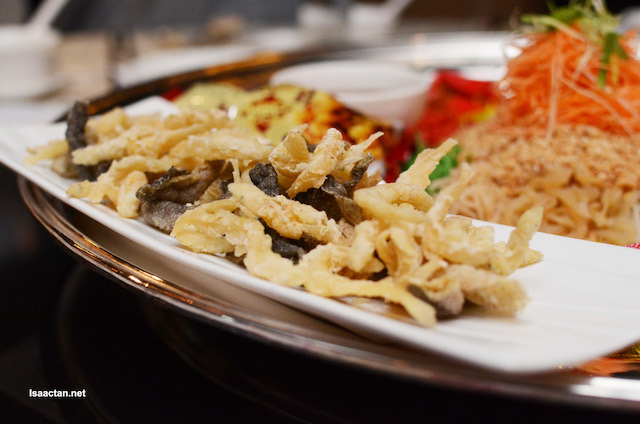 The lotus leaf used to wrap the fried rice does well to infuse the rice with even more flavours and fragrance. Perfect dessert to end a nice CNY meal, we had these sweet Double-Boiled White Fungus With Longan & Sea Coconut, complete with the traditional “Nian Gao” dessert on the side. 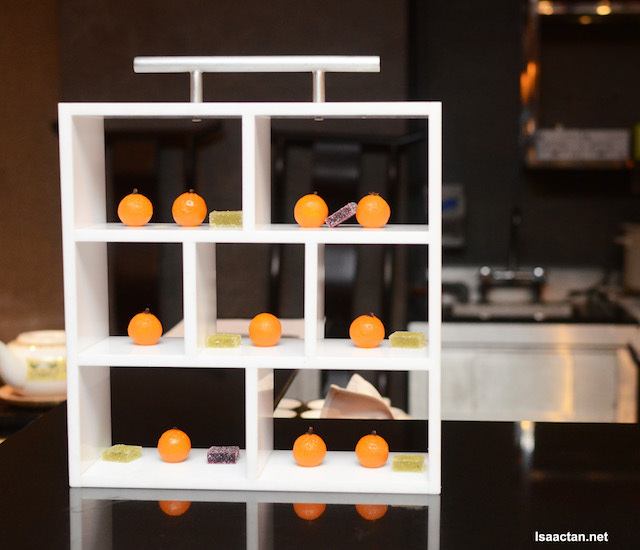 In fact, special that night, Dim Sum Chef There Yoon Kong brought out these cute miniature mandarin orange dessert which were actually crafted white chocolate filled with even sweeter stuff in the middle. Love it!. Don’t forget to check out the CNY promotions below. What waxed meat do they have in the fried rice? Duck? they are non-halal, its a mix of pork, and others.. not exactly sure, but it's pretty tasty.